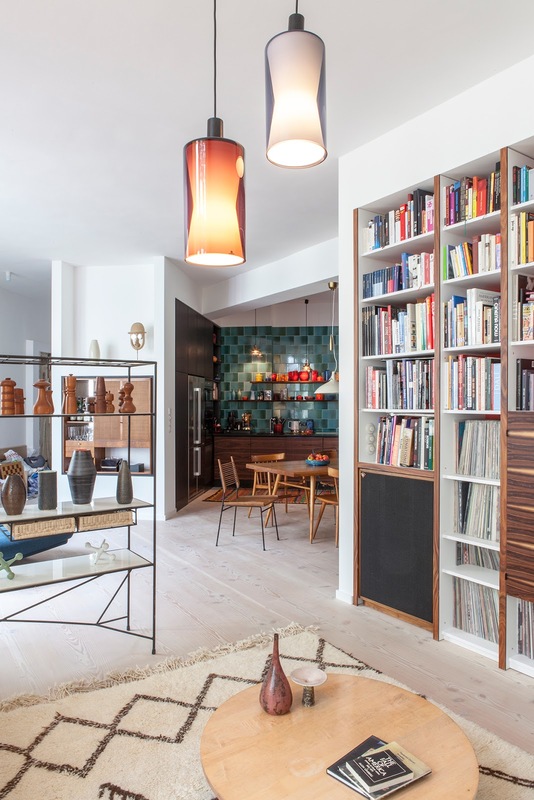 Wow, the interior of this loft is right up my alley. 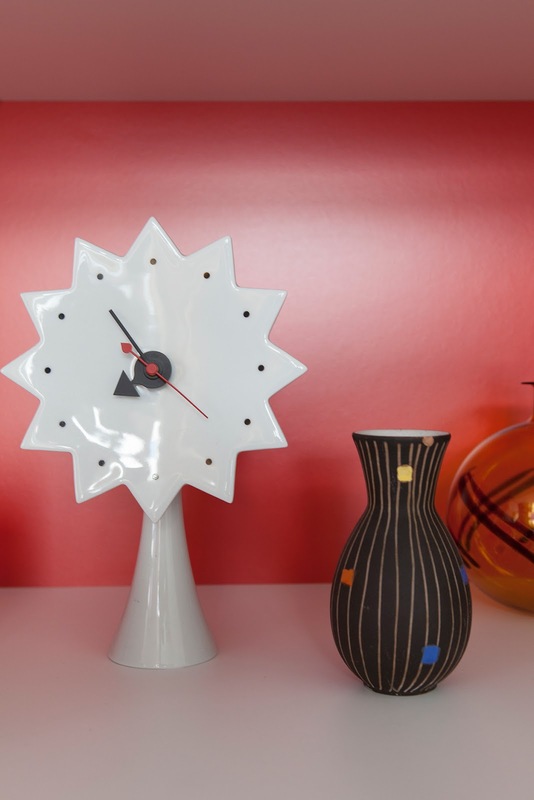 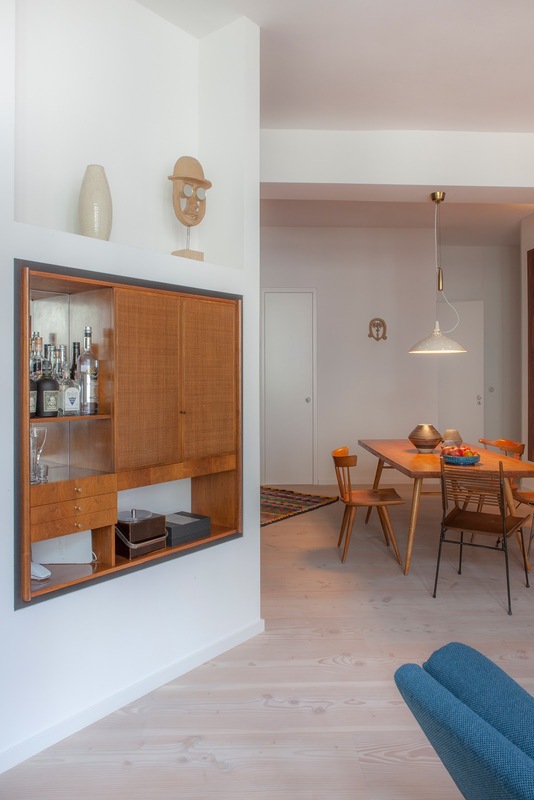 It has a perfect 60s / 70s vibe, supported by an amazing collection of mid century modern design. 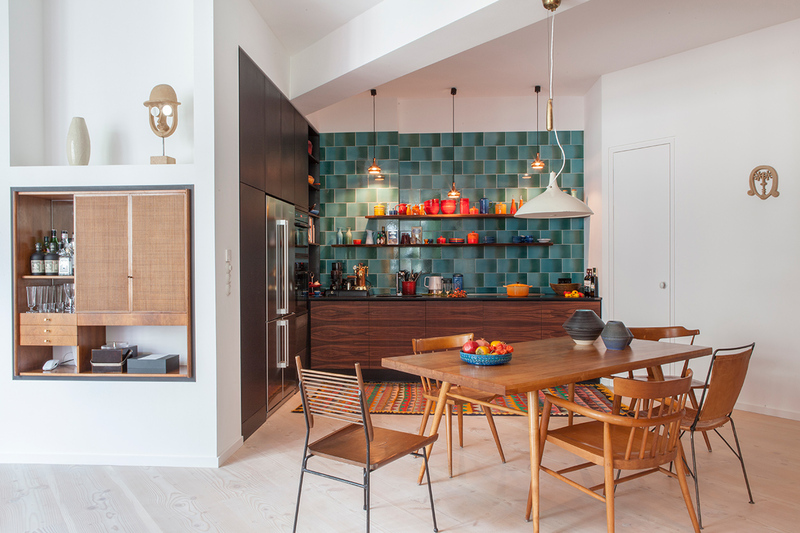 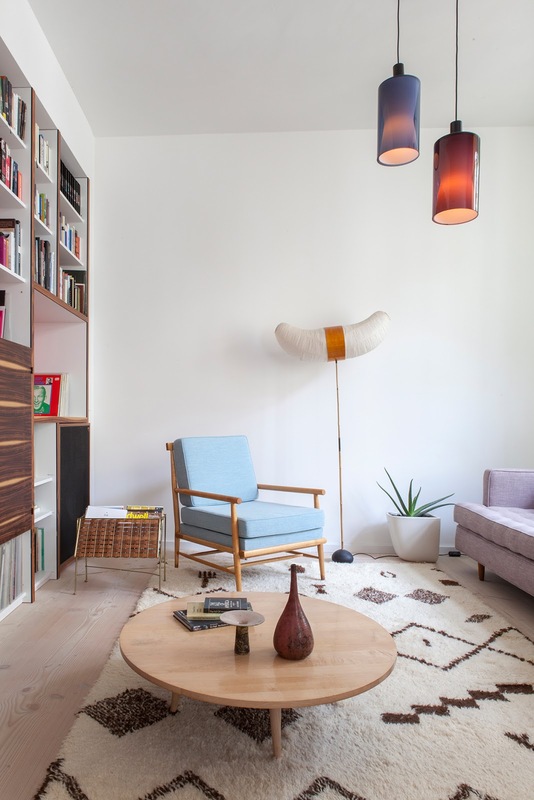 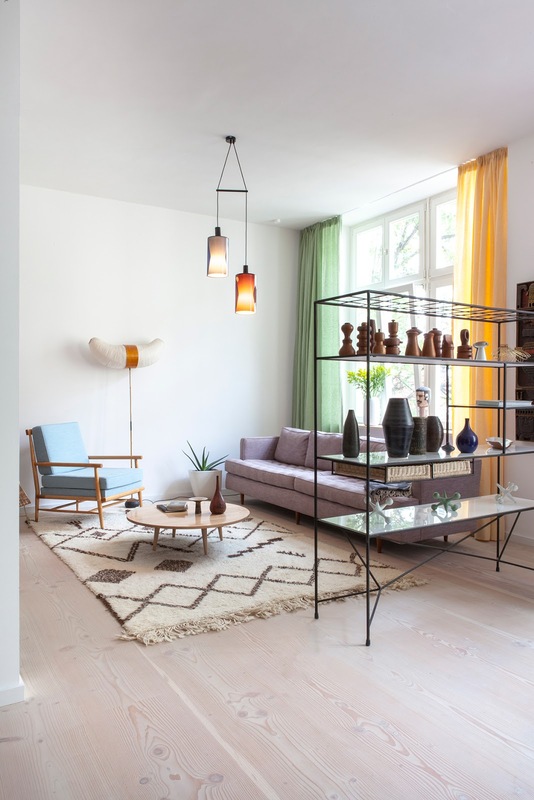 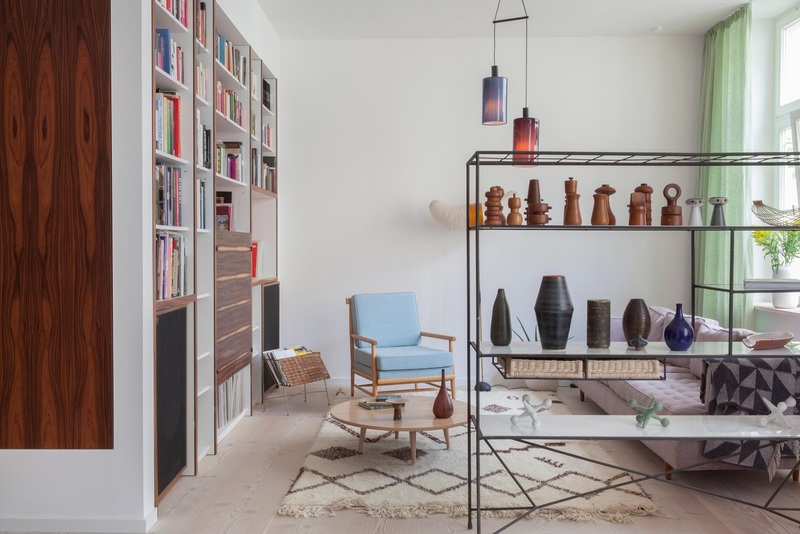 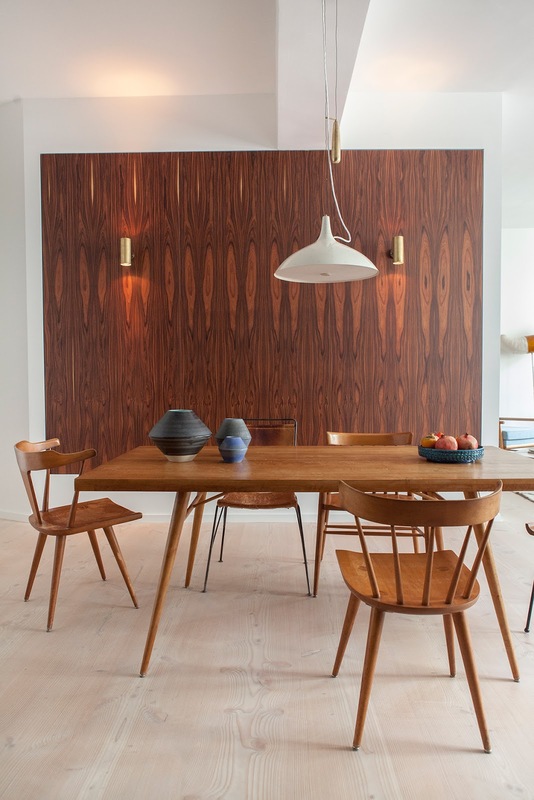 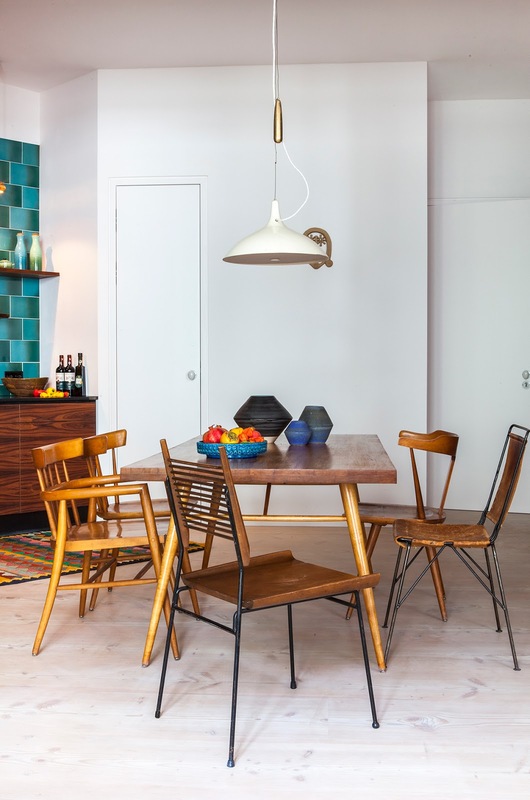 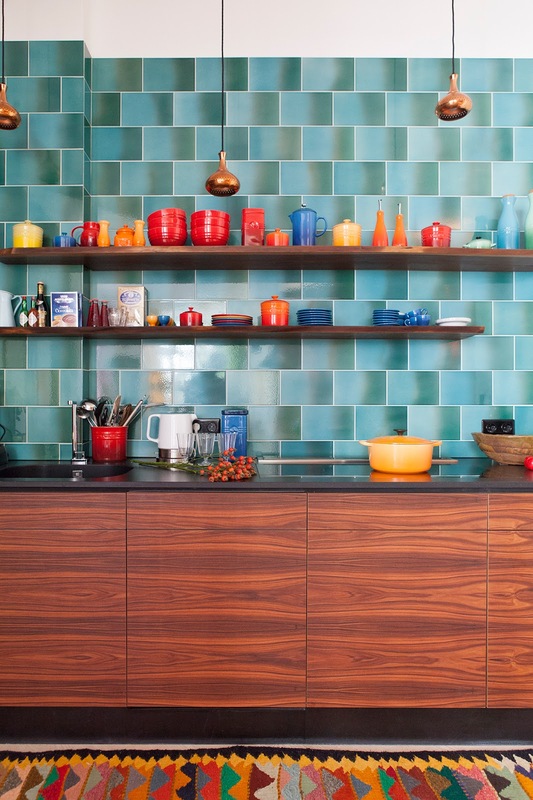 There is really so much to see from the great collection of pottery and wood objects, interesting wood paneling on one of the walls, built in cabinets and of course interesting kitchen, with striking color scheme contrasting with the rest of the apartment. 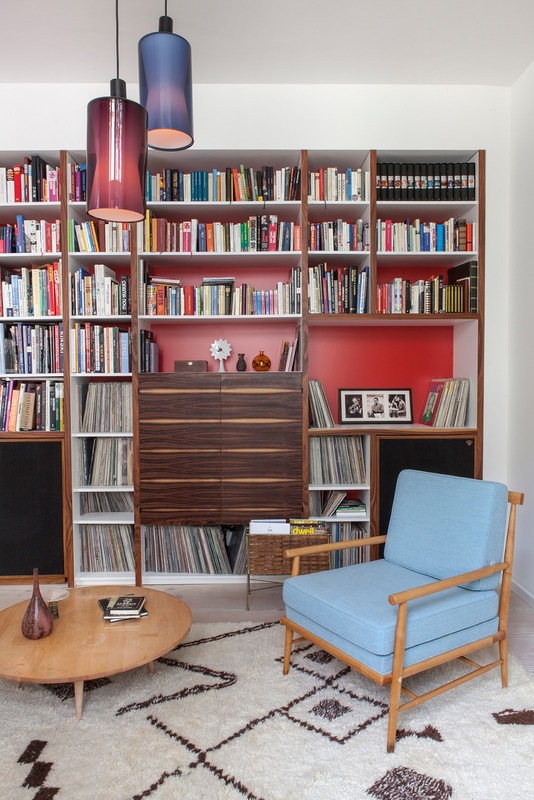 This is really a mid century modern design lovers dream house, love it!